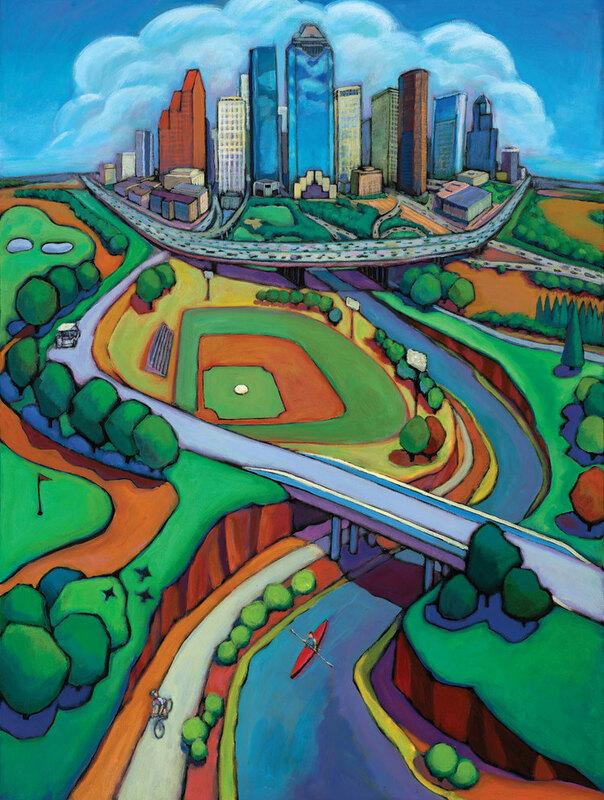 One of my favorite activities to celebrate the start of the spring is the Bayou City Arts Festival. This bi-annual festival is one of my favorite opportunities to get out and about in Houston and enjoy some of the best artists from Houston and around the states. The festival is an eclectic mix of arts with a wide range of mediums all showcasing their skills and provoking thought and conversation for attendees. Annually my daughter and I attend and it always gives us a chance to really engage in how we see beauty and defining what is art. It is a really interesting conversation to see art through a child’s perspective. In starting the conversation you give yourself a chance to really rethink what you define as beauty and strength and art. The conversation itself teaches attendees to expand their look on what art is. In my own youth, I thought of art as beautiful paintings that realistically capture people and places. With every stop at a booth at the Art Festival you get a chance to challenge any limits you place on your vision of art. You see pictures and sculptures that are new and fresh and best of all they can be yours (if the price is right). Perhaps my favorite part is you get the chance to speak with the artist themselves and learn what moves and motivates them. Being this close gives you a chance to get some deeper insight on the process instead of just the product. The art festivals range of art really expands everyone’s impression on what art is. Art does not have to be neat or pretty or realistic to really express someone’s vision of the world. Sometimes it is dark and snarly and messy and still can express something that provokes strong reactions. In circling the festival and looking at different paintings and sculptures and jewelry you get to enjoy the beauty of both the simplicity and complexity of life. When in great company on a beautiful day it reminds you that art really does imitate life. 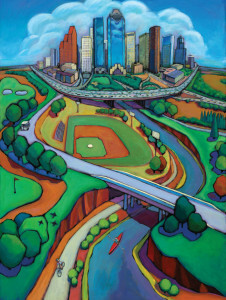 This weekend grab some friends make it out for a great day at the Bayou City Arts Festival!